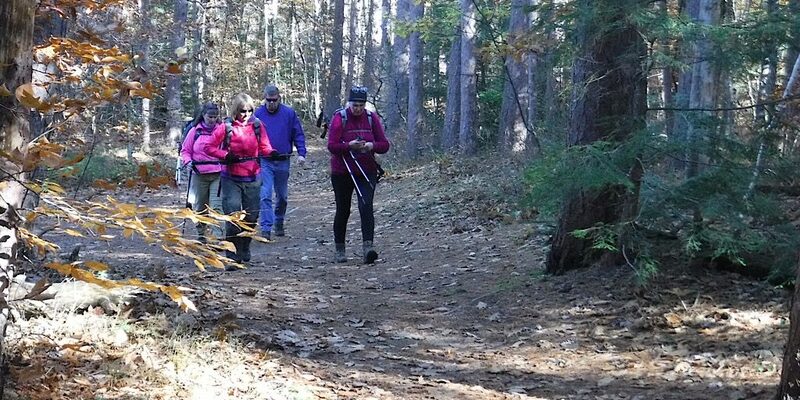 Fall is a great time for land navigation. 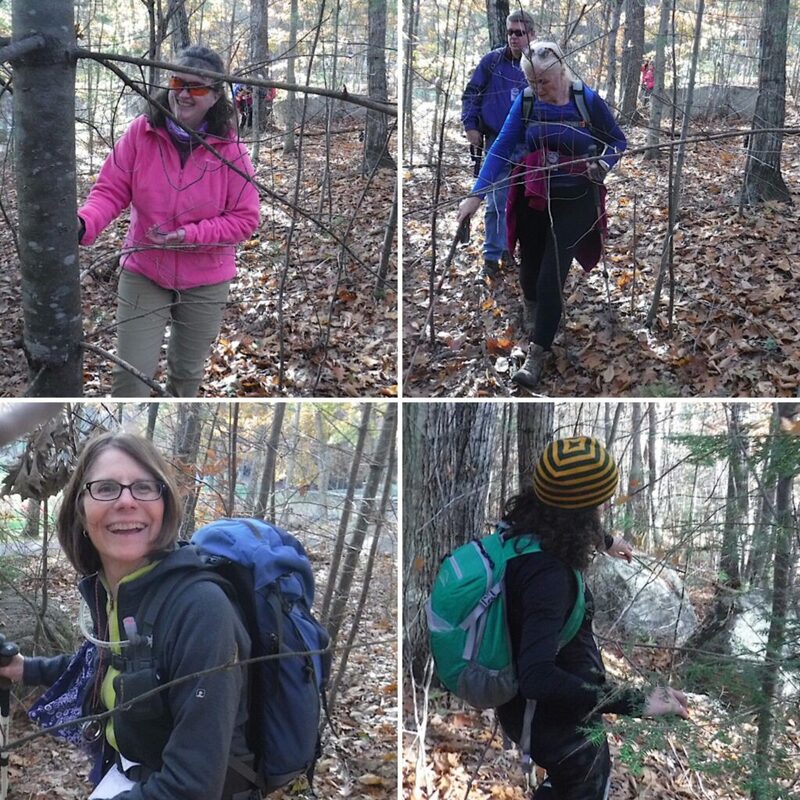 Historically, the fall has been an unpopular time to take a Wilderness Navigation class. It really makes no sense since the autumn is more comfortable, has fewer bugs, and the forest sightlines are improved after some of the leaves drop. In other words, it’s a great time to take this class. So, why most don’t is unusually inexplicable. We’re hoping, however, to change that this year. Starting with today. Today six fresh minds came to us requesting a navigational know-how fill up. Of course Redline Guides Mike Cherim (owner) and Erik Samia (new guy) were up to the task and eagerly jumped at the chance. 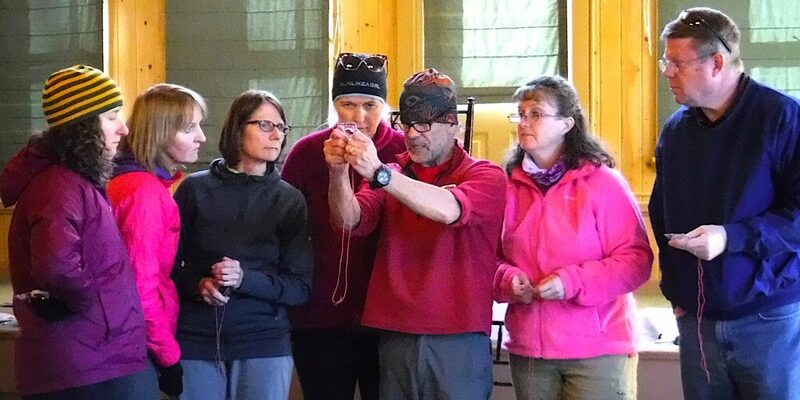 As we have during so many of our Wilderness Navigation sessions this year, we ran our class at the Eagle Mountain House. 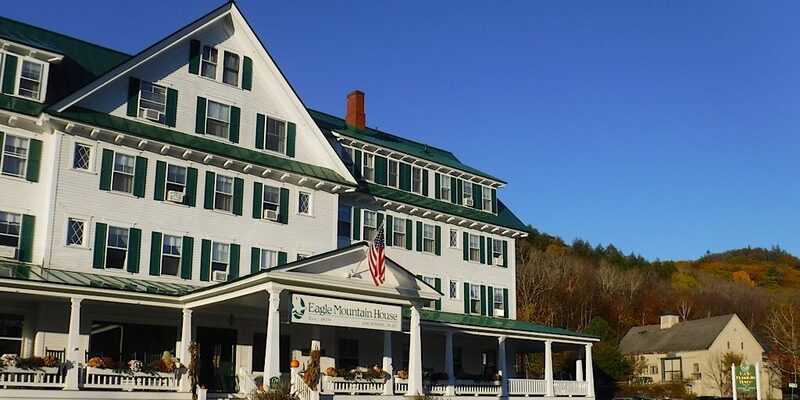 For those who don’t know it, the Eagle Mountain House is a grand, old hotel located on Carter Notch Road. It’s quite the place. Charming, classic, extremely inviting. 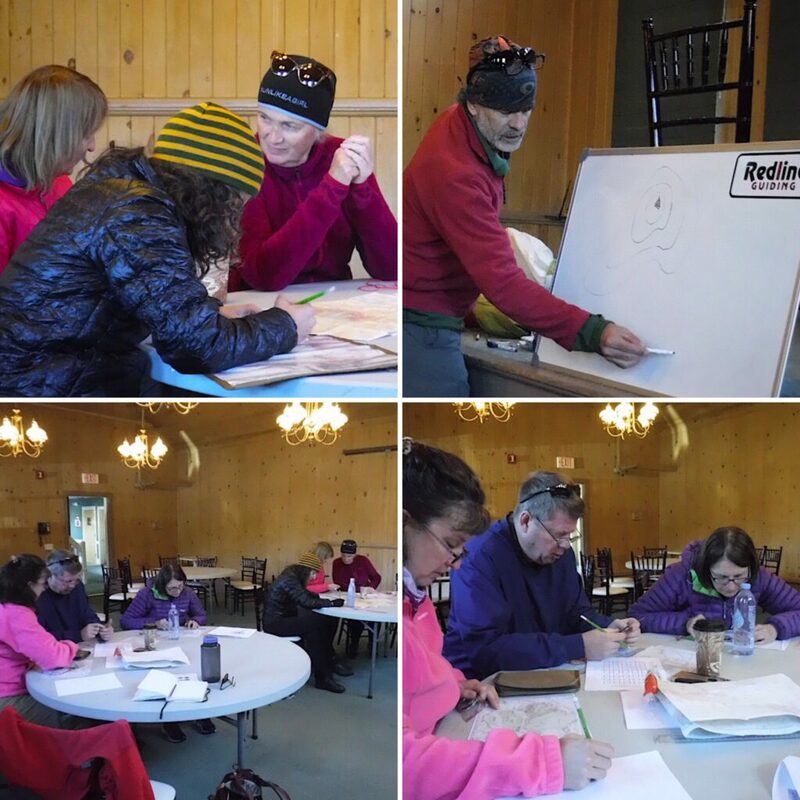 It’s a lovely location for this class, too, and we and our students really appreciate it. In fact, we recommend staying there at some point. If you do, please tell them we sent you. We don’t get a commission or anything like that, but the good will feels awesome. The Eagle Mountain House is an awesome location for our class. We begin outdoors. It awakens the senses, clears the mind, and sets the stage for learning. 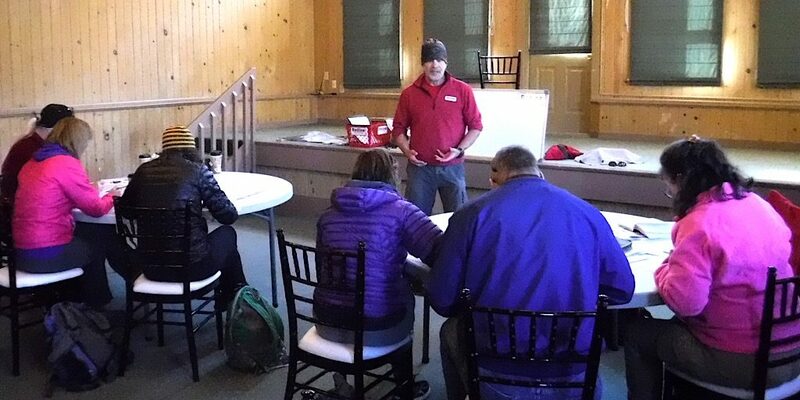 After a productive session outside, it was time to take it to the classroom. This is a full, full-day class. We cover a ridiculous amount of material. As much as we love Jackson and the Eagle Mountain House, for our afternoon extended outdoor session we like to travel down the road a piece. 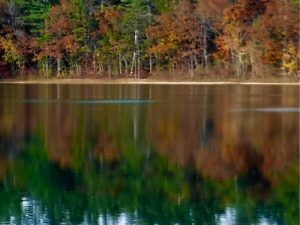 Specifically, we like the woods in and around Echo Lake State Park and Whitehorse Ledge. 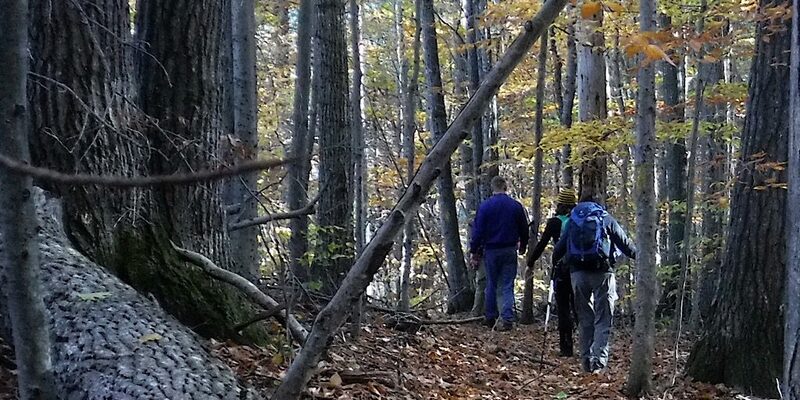 It really meets our needs, providing the right types of challenges, but without the dense woods we sometimes find ourselves cursing about on the more advanced must-do-or-die bushwhacks we do on our days off. 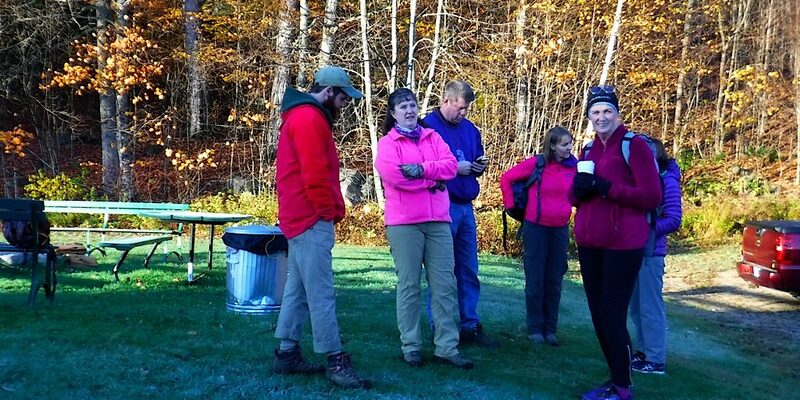 We hike out to our planned starting location as we plotted in the classroom. Easy to navigate open forest. We exit the forest, smarter, faster, better than before. Our graduating class of October 28th, 2017. Well done gang. Questions? We will help you! 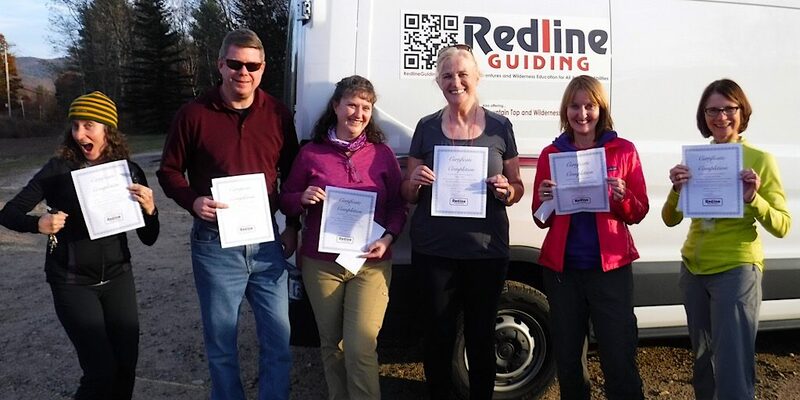 Congratulations Melissa, George and Tammy, Anne, Annette, and Beatrice! And thank you choosing Redline Guiding.